Home > Blog > Is There a "Ticking Time Bomb" in Your Home or Business? Quite a headline, isn't it? Sorry, but I really needed to grab your attention on this one. I have a moral obligation to tell you what I know. You see, if you reside in a home, or do business in a building that is 30 to 65 years old, you may be living with a huge threat of fire...your circuit breaker box. One of the most popular brands of electric panels from the 1950's through the 1980's was the Federal Pacific Stab-Lok circuit breaker box. Millions were installed all across the country in homes and apartments, condos, and commercial real estate. Electric panels take the incoming electricity from the street and safely distribute it throughout your home. 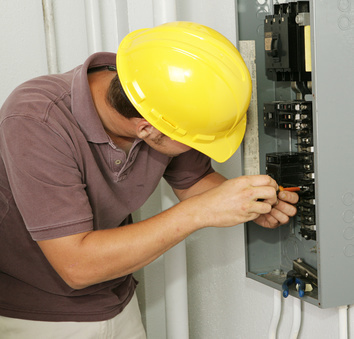 Circuit breakers are used to cut the power whenever the wiring in your home has too much current running through it . This can be caused by circuit overload, short circuits, and outside power surges. When this happens, the breaker "trips". If the breaker fails to do its job, the risk of fire to the panel or overheating wires in your home or business becomes imminent. Federal Pacific breakers are known to be a serious safety hazard. Tests conducted in the 1980's have shown that one out of four Stab-Lok breakers are defective and will not properly trip. Even worse, the now defunct company was found by a New Jersey court to have committed testing fraud in order to falsely meet standards and receive the UL seal of approval. Jesse Aronstein, Ph.D, and consulting engineer who spent 20 years researching and testifying against the danger of these panels has stated quite simply, "There is no question but that the FPE Stab-Lok panels should be replaced. There is no practical and safe alternative". Aronstein estimates that over 2,000 fires each year are caused as a direct result of Federal Pacific panel breaker malfunction. The insurance industry has begun to take a more aggressive stance regarding these breakers. I do not have a single company in my office willing to insure a property with them. In recent years, they've become more proactive in identifying the risk during inspections. I've had a handful of clients who were required to replace these dangerous electric panels in their homes or businesses in order to maintain insurance coverage. I expect this trend to continue. So, what does this mean to you? It's more than a good idea to determine whether or not you have a Stab-Lok panel in your home, business, or the home you plan on purchasing. If so, you should consider this an extreme hazard and contact a trusted electrician as soon as possible to make arrangements to have this safety threat removed. Contact your landlord if you lease or rent your home or business location. Most of my clients have found them to be more than reasonable when it comes to replacing these panels. For more information, and references to this article, visit our webpage.